After the soldiers of the heavenly court, the first in order of time, and not lesser in holiness, are counted the holy fathers of the Old Testament, the Patriarchs and Prophets. Since they were educated in the decrees of the Law, and great in their patience, divine providence approved them and made them the keepers of its ancient council, and taught them by the revelation of the Holy Spirit all that it had arranged from eternity for the salvation of the human race. What they saw in spirit, they prophesied before all, reproving the errors of all, rebuking and destroying the evils of the vices, to prepare for the Lord when He would come the way of faith for the salvation of those that believed. They foretold His coming in many ways, by figures, by ceremonies and by words. 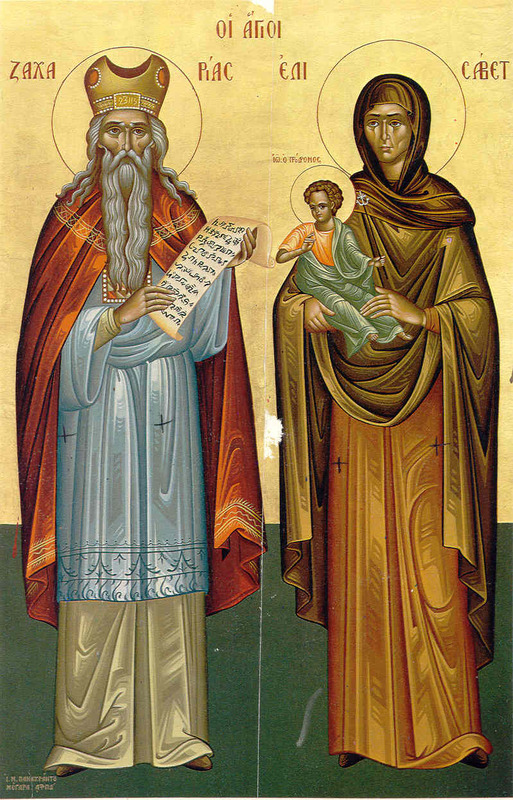 Finally, the most blessed John was sent, greater than any prophet, the herald and witness of the Divine Word, who had both the dignity of a prophet, and the privilege of baptizing the Lord. Zachary and Elizabeth, the parents of St John the Baptist. Although their feast was never on the general Calendar, in many places it was kept on this day, November 5th. And speaking of the Patriarchs and Prophets, at the blog New Song, Dr Jeremy Holmes has posted a great article about how liturgical Calendars developed from mostly “local” lists of Saints to include the Saints of the Bible. It in, he gives a comprehensive table with all of the Saints of both Testaments, according to the Martyrology of both the OF and EF. Click the link above to see this very useful resource.